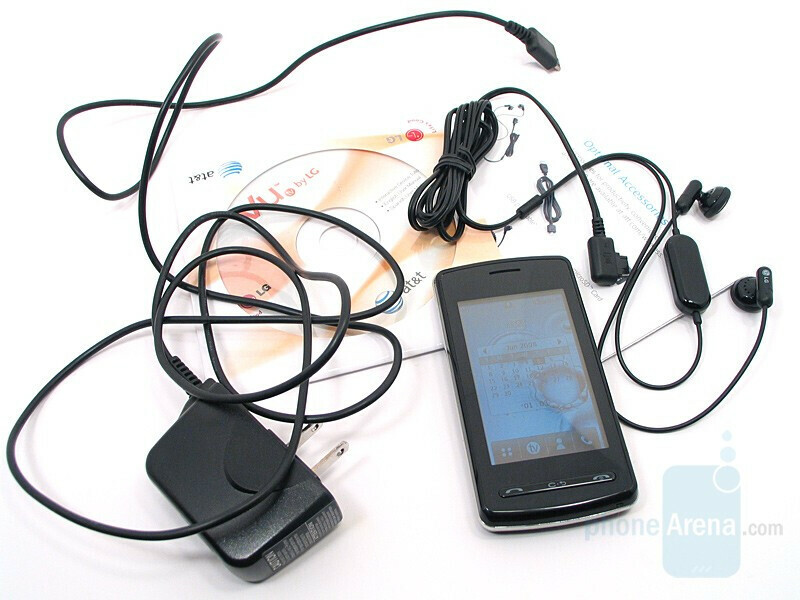 This is a GSM phone offered with AT&T. Even though LG has beaten everyone by releasing a fully touch-screen phone like the PRADA on the market, it’s undeniable that the iPhone has had the most success. That target is what has been fueling the race to build the best touch-screen handset. To do so, each manufacturer makes their additions to it to just spice up a bit, such as a slide-out keyboard. Still, some seem to stick closely to the original formula; make the front dominated by a large display, a few key buttons are added, a decent camera and voila. 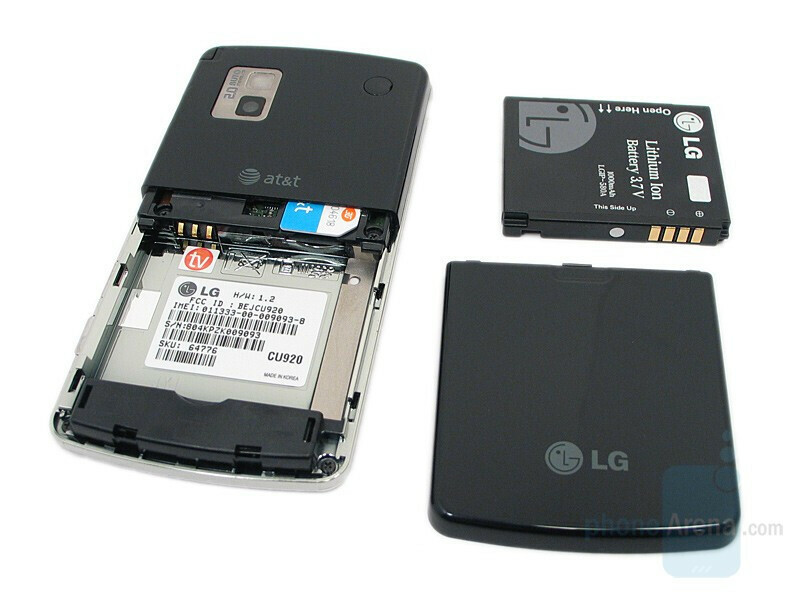 This is what LG seems to have done with the Vu. 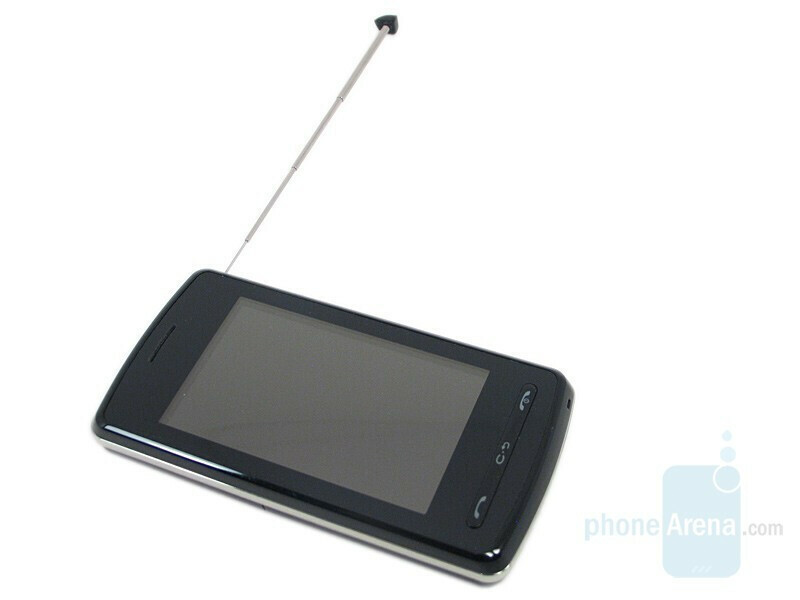 Sure it has mobile TV, but take it away and it seems to follow that basic formula. Apart from its look and the TV, there’s not much that jumps out at you immediately. It’s boxed in the Standard AT&T white/blue/orange box. Open it up and it just sits there on a dull gray cover with the accessories located underneath. Sure it’s attractive, but the real magic should happen once you begin to use the phone. 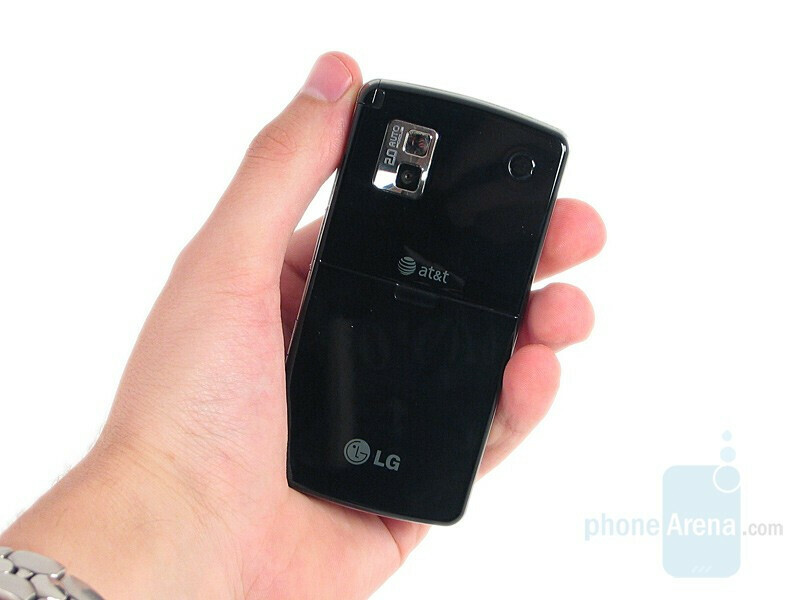 Besides, who wants something that just looks nice and doesn’t perform like the other handsets that are out there? 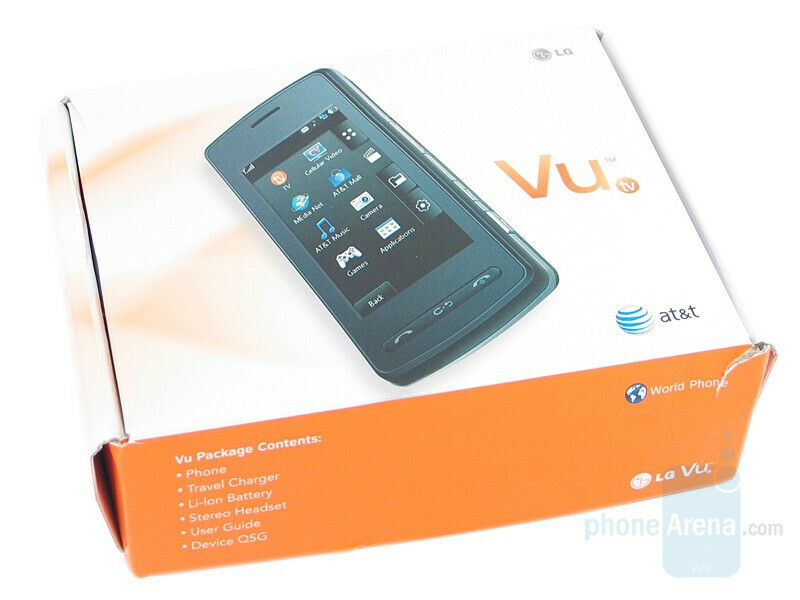 Luckily, the Vu has plenty of features, to entice consumers away from its competition. From just looking at the Vu, it has a very elegant and sophisticated look. Except for a silver ring around the sides and the camera, it’s dressed entirely in black. Looks can be deceiving however. Once handled, there’s a cheap feeling to the Vu since the housing is made up of plastic and feels light overall. Not to say that it’s a bad thing, but it just doesn’t ease the mind to think of what might happen if this phone was dropped. 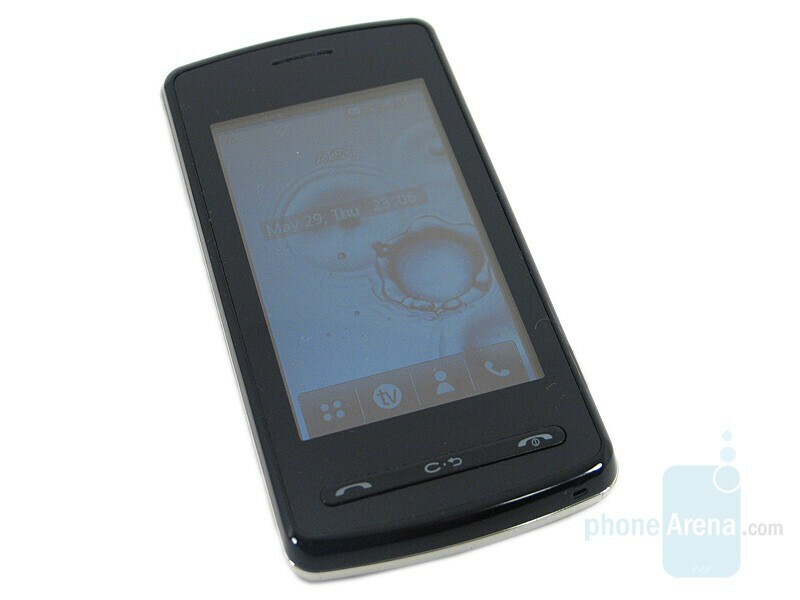 As this is a very stylish handset, another concern is, just how scratch resistant it is and especially the display. Well, the back was turned out to scratch very easily while the display was much more resilient. It didn’t get any minor scratches, but it did get to rather large deep ones, so make sure to keep it away from those keys. You can compare the LG Vu to many other phones, using PhoneArena's Visual Size Compare tool. At 3 inches with a resolution of 240x400, the display mixes in very well with the competition and takes up the majority of the front. Still, some menus and applications felt as if they were cramped when displayed. It reproduces colors that are realistic, lively, and have good contrast. Brightness was a let down, however. Indoors, it was more than adequate, but once outside, the sun washed it out, making it very difficult to read. Sensitivity was accurate when it comes to where it was pressed but not always in the way that you scroll. There were three main issues that we came across. When testing to see how quickly we could type on the keyboard, there were times when two of the same letters would be entered even though the second was a different one. Once we moved out of the test and used it for actual typing, we did not have this issue, but for the very fast texters, this may be something to consider. The second issue occurred when we were using the web browser and scrolling across the page. It would open a link that was scrolled over at times, but we'll go more into depth on this later. The final issue was when scrolling through folders, music, or videos. When not using the scroll bar, it would speed through the list all the way to the beginning or end of the list. Found just below the screen, are the control buttons. 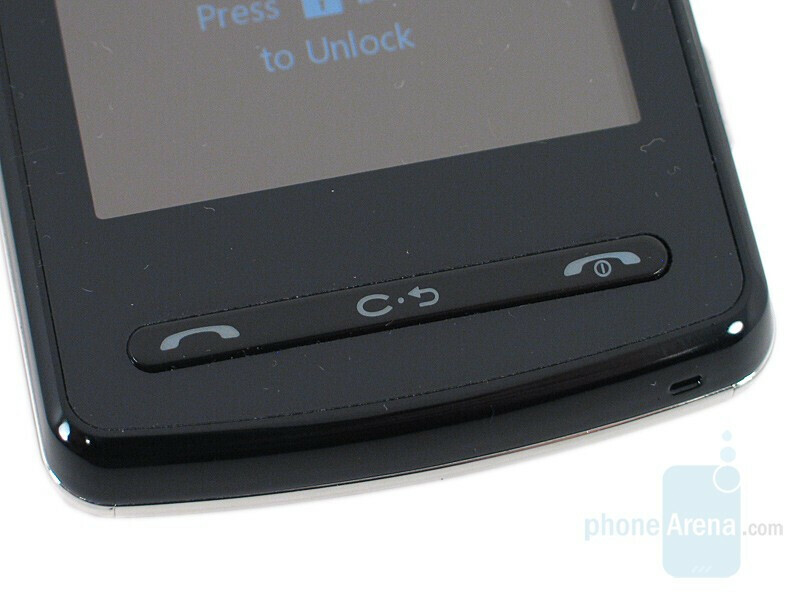 There’s the call, hang-up, and back/clear buttons. 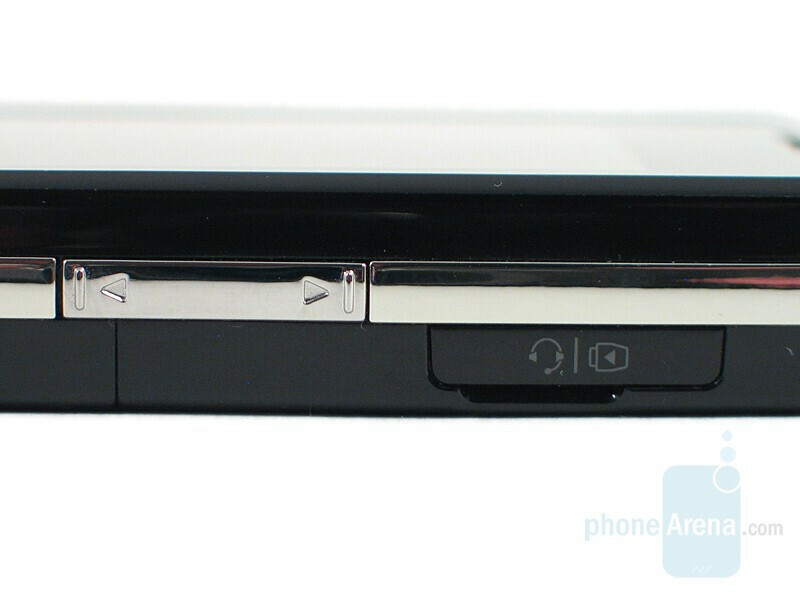 The camera, lock/unlock, volume rocker, charger slot, and antenna are all located on the right side. Despite their small size, all of the buttons were easy to press and use. Each one gives back a small click when pressed for feedback. The antenna is easy to extend and retract, but its base is very slim and looks like it could break off fairly easily. While the Vu does come with a microSD slot, the bad news is that it’s placed behind the battery and just below the SIM (like in the Prada), making it very inconvenient. The good news is that it’s very easy to insert and take out the card. 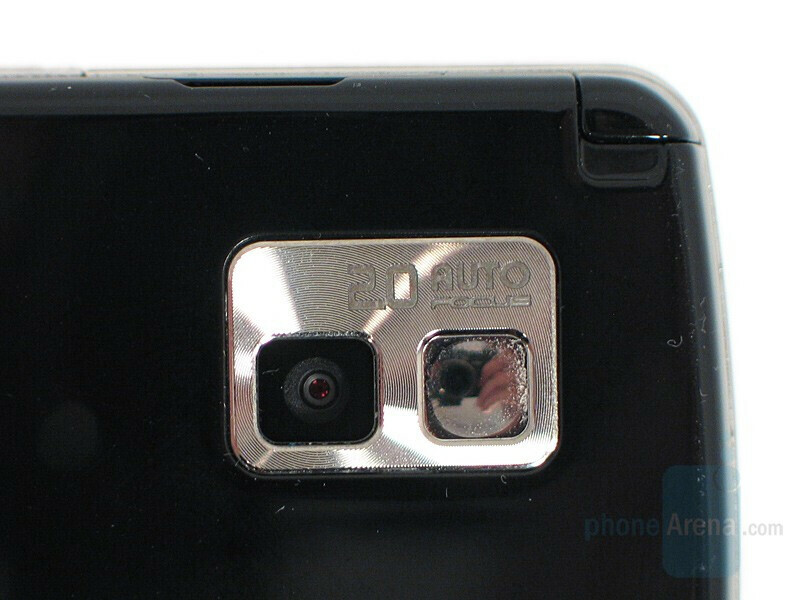 The back holds the 2.0 mega-pixel camera with autofocus. With its silver finish, it really stands out from the rest of the black surface. The real average for the phone is 7.3, so why does it say 5.5? I know, but the real score average was 7.3 (rounded), but it says that the average is 5.5 with no notice or clarification for deductions, although it should already have been deducted from the PA phone rating. 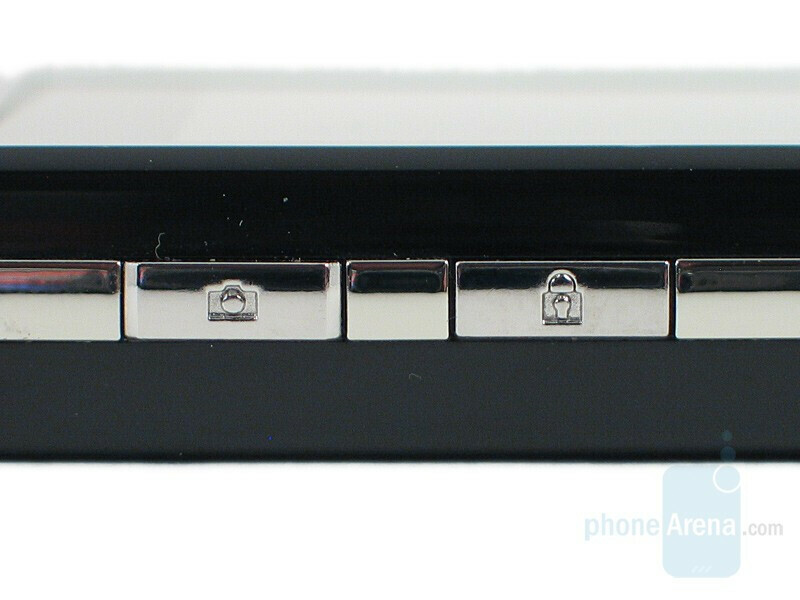 "PhoneArena overall rating is the subjective mark for the device as a whole. For example, if one is targeted to the fashion-cautious user it may score low on its multimedia and organizer, but still get very high overall rating." It's not only how it performs in different aspects, it is Overall rating and for a high-end device, the Vu is rated at 5.5. I hope the Dare is better than the Vu! It's on Verizon, it's already worse.